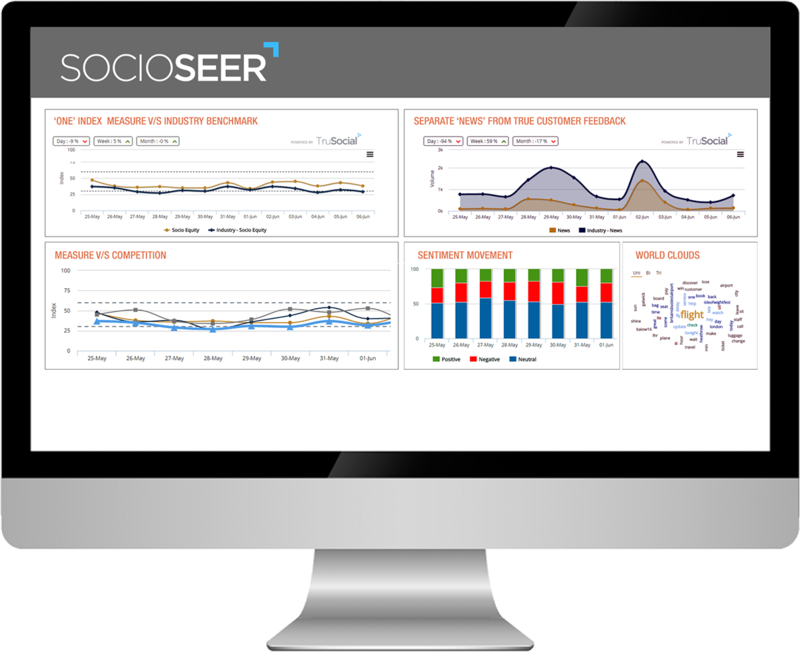 A cloud-based solution, SocioSEER™ is built on a scalable, open source tech stack that uses our proprietary RE.CO.IN methodology. Our extensive prediction and category algorithms classify all social impressions in domain-relevant themes. We use edge concepts (natural language processing, semantic compositionality, computational linguistics and machine learning algorithms) to capture every nuance of social context.